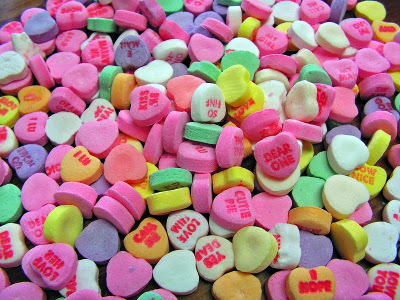 I used to consume a lot of those candy hearts around this time of year. I'd still like to, but getting old means I can't do that anymore. One bag of candy hearts is probably about one month of gym time to burn off those calories. I guess getting older also means it's easier to make better decisions, like not eating all those sugar bombs. We celebrated last weekend with a date night - dinner and a concert. We'll probably go to the gym tonight, I bet it is empty.